A power station chimney which is more than twice the height of Big Ben is due to be demolished in a controlled explosion. 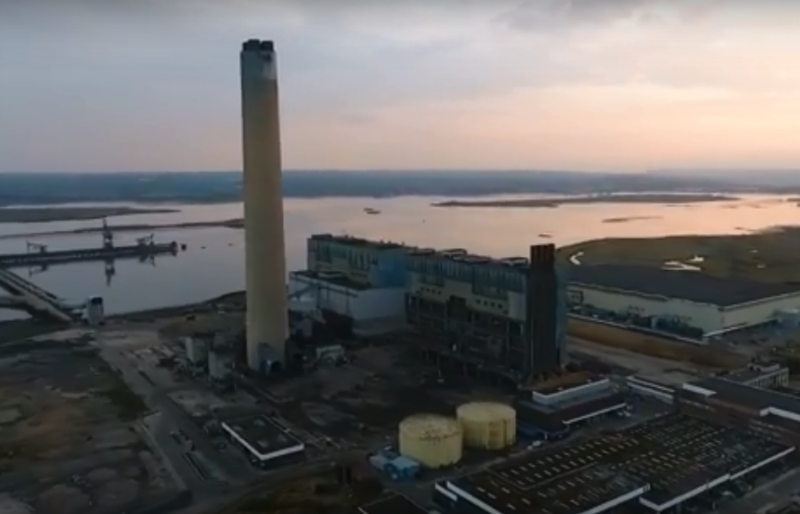 The 656ft (200 metre) chimney at Uniper’s decommissioned Kingsnorth Power Station in Hoo, Kent, is due to come down at 10am on Thursday, a spokeswoman for the company said. The demolition had been delayed because of snow and was originally due to take place at the beginning of March. The oil-fired power station was commissioned in the early 1970s and was capable of producing up to 1320MW – enough electricity to power more than 1.5 million homes and businesses. The chimney removed steam and other gases from the plant’s boilers and has become a familiar landmark on the Kent landscape. Kingsnorth Power Station closed in December 2012 after opting out of the Government’s Large Combustion Plant Directive (LCPD) which required it to close after generating for 20,000 hours from January 1 2008 or by the end of 2015, whichever came first. The rest of the demolition work is due to be completed by the end of the year.